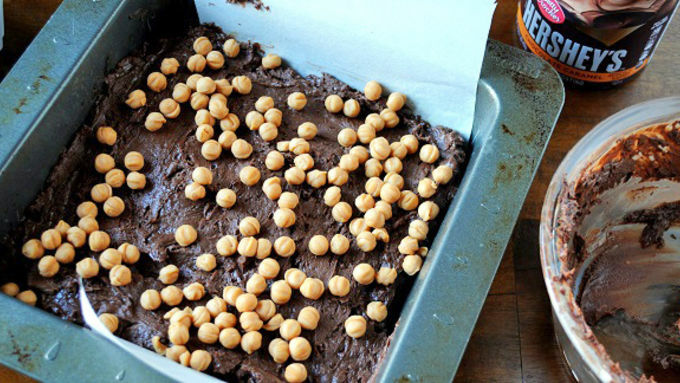 Take your chocolate chips and put them in a microwave safe bowl. Microwave for one minute. Stir the chocolate chips. Place in microwave for another 30 seconds. 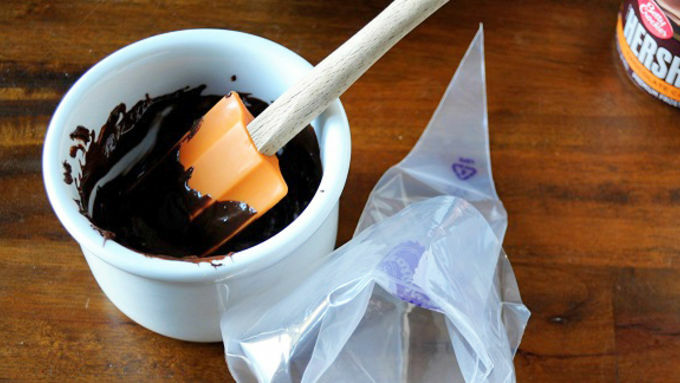 Keep melting until chocolate is completely smooth. 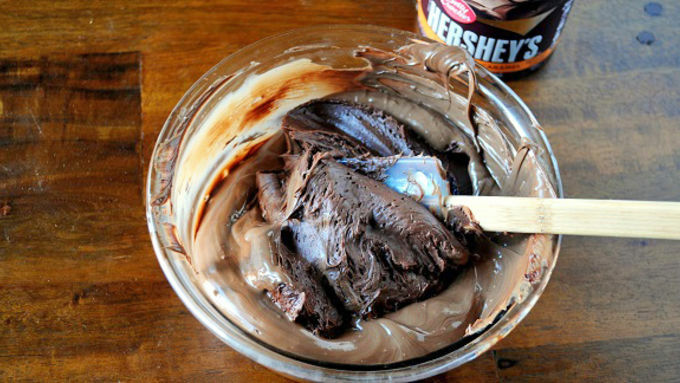 Add the frosting to the chocolate. Microwave for an additional 30 seconds, and then stir until smooth. 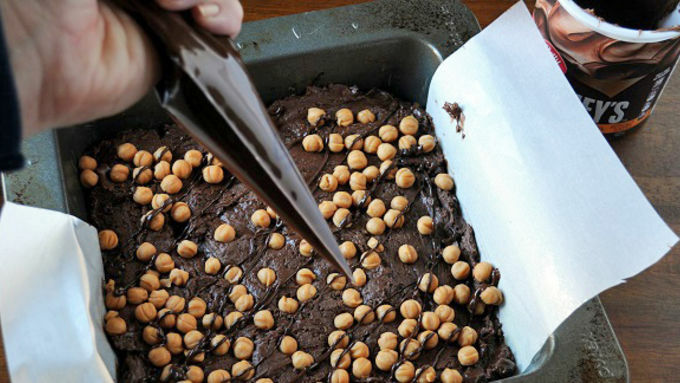 Spread the mixture into the prepared pan. Sprinkle the caramel bits on top. Press down on the caramel bits with your hands to make sure they stay in place. 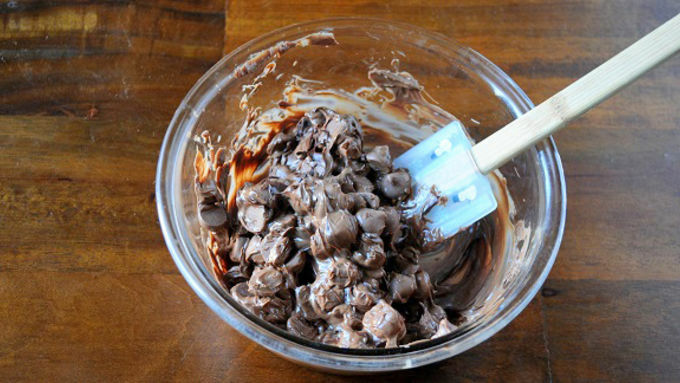 Melt the 1/4 cup chocolate chips on high for 30 seconds and keep doing that until melted and place into a piping bag. Pipe or drizzle the chocolate on top of the fudge and caramel bits. Refrigerate the fudge until it sets up, about 30 minutes. Then cut into pieces. How many servings you get will depend on how big you cut the pieces. If you've never heard of frosting fudge you're going to love and hate me at the same time…especially for making this Chocolate Caramel Frosting Fudge. 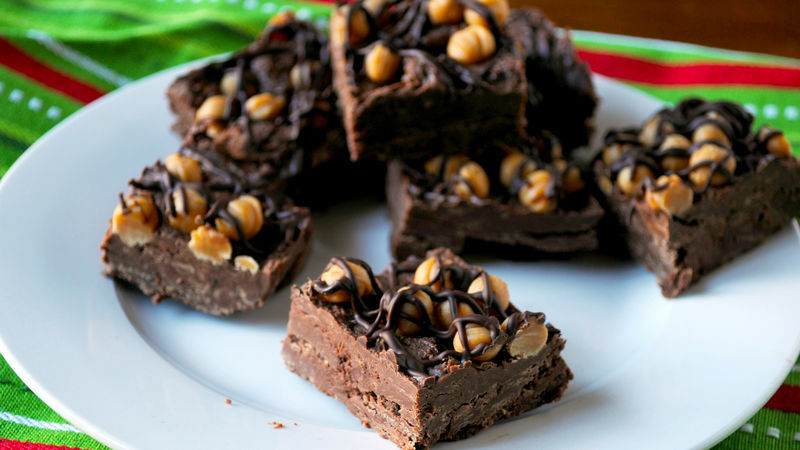 To say this is the easiest fudge ever invented is an understatement – and the varieties are endless. Basically, you need one can of frosting and two cups of chocolate chips (including white chocolate). Then you just add on from there. This version uses the decadent Betty Crocker™ Hershey's™ Chocolate Caramel Frosting which is rich and yummy. 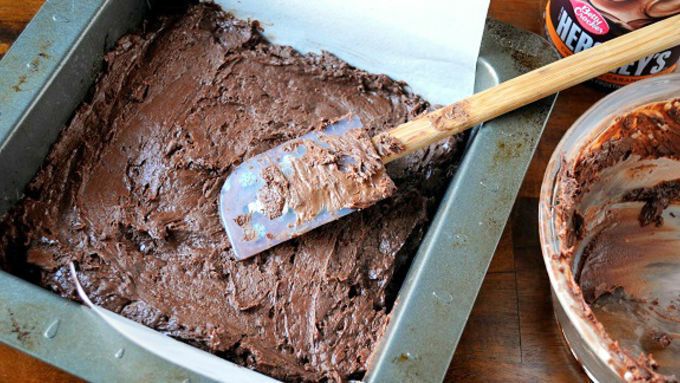 So grab a can of frosting and some chocolate chips and get fudge making! How many servings you get will depend on how big you cut the pieces. See? It's that easy. 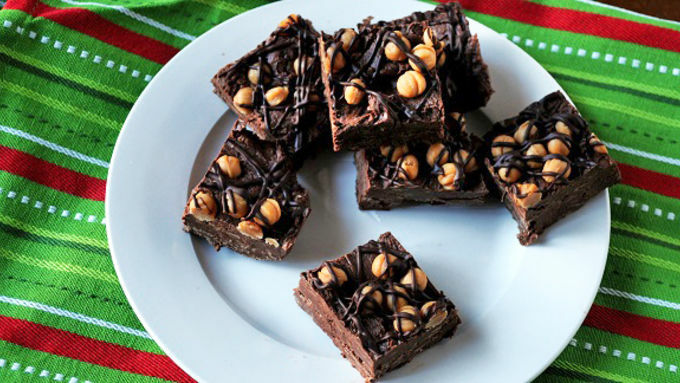 Now all that's left to do is enjoy this amazing fudge!